P1000 Size Matters gift certificate giveaway from me and Globe! - All Chucked Up! You are Here >> Home >> chuckiegiveaway >> P1000 Size Matters gift certificate giveaway from me and Globe! Let’s have a quick giveaway! Who wants to win a cool P1000 Size Matters gift certificate from me and Globe?! Win P1000 Size Matters gift certificate! To date, how many burgers has the Size Matters chain of stores sold? To know the answer to this question, all you have to do is watch the short video below. Well? Did you find out the answer? Great! Share this contest page on Twitter and Facebook, too! Contest runs until 12midnight tonight ONLY! Globe will collect all the correct answers and select a winner randomly. 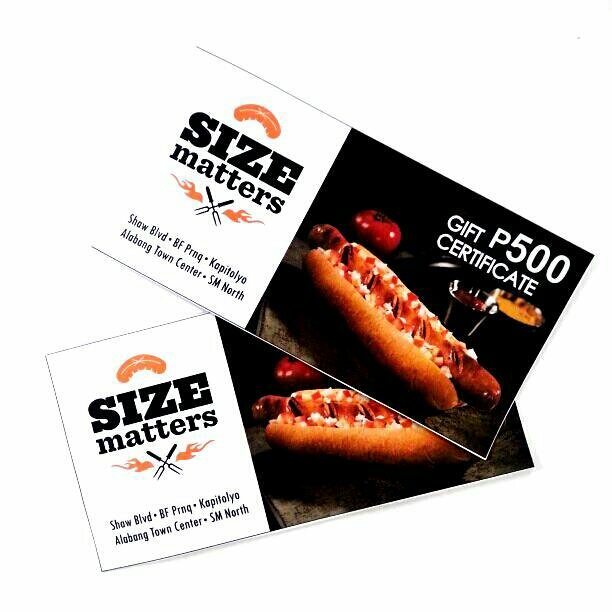 A P1000 Size Matters gift certificate awaits! Let’s go! Globe has gone through all the tweets (a TON of tweets!) and selected one lucky winner who will get a P1000 Size Matters gift certificate! 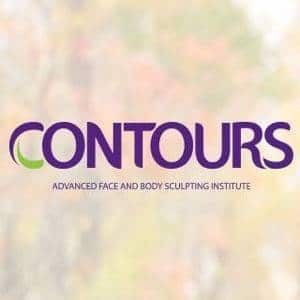 Please wait for us to contact you on how you can claim your gift certificate. Thank you to everyone who joined this quick giveaway! Stay tuned for MORE GIVEAWAYS very soon! Keep on following me on Twitter to stay updated. 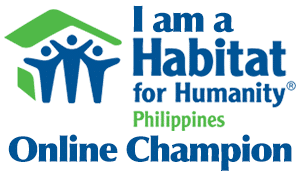 ‹ World Habitat Day 2014 – Habitat for Humanity Philippines’ 1st Online Champion Build › Schick Exacta 2 – As smooth as parkour! Smooth Lee!